Jeulia offers all kind of jewellery such as bracelets, necklaces, earrings, charms and, of course, rings. 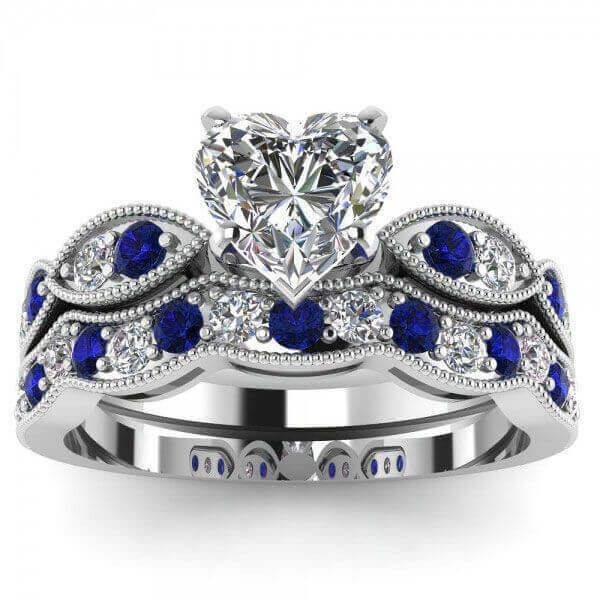 In the rings category you can find the most mesmerizing bridal ring sets, which basically consist of 3 pieces: an engagement ring, a wedding band for her and a wedding band for him, all of them under the same theme and style. You can still wear them as separate rings, but the wow effect is greater when worn together. 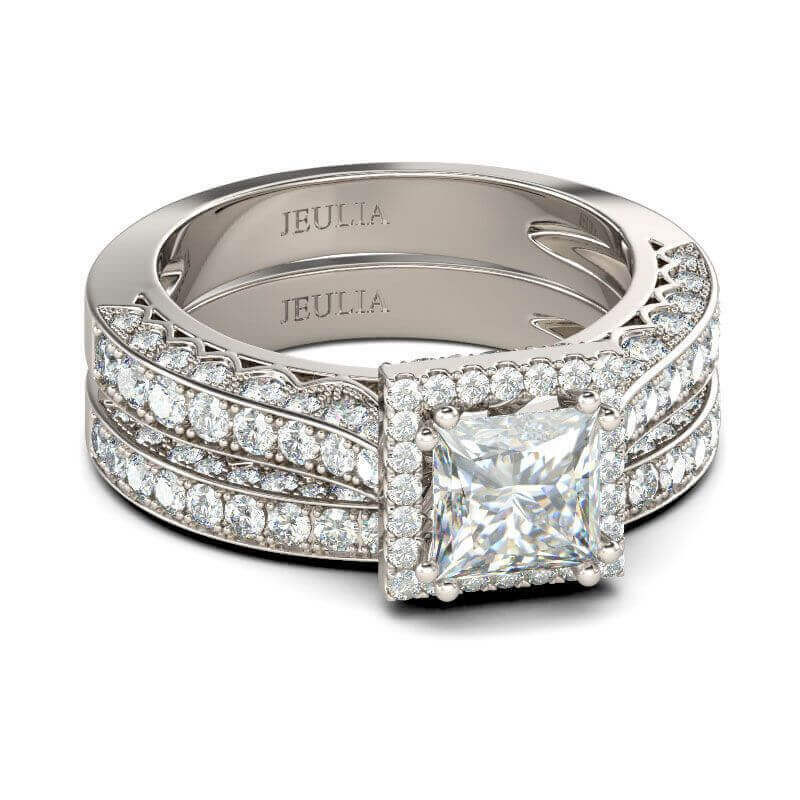 Jeulia offers the three pieces together as Wedding or Bridal Sets for a lower price. 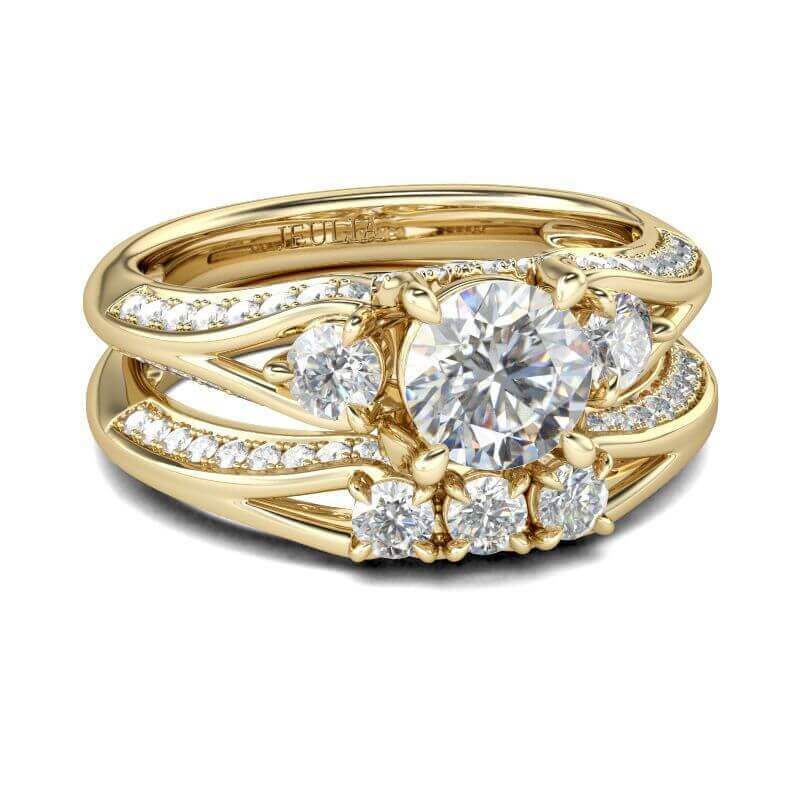 Another kind of set you can find in this online store is the Engagement-Wedding Ring Set. This one is a two-piece set that includes an engagement ring and wedding band, both tailor made for the bride. 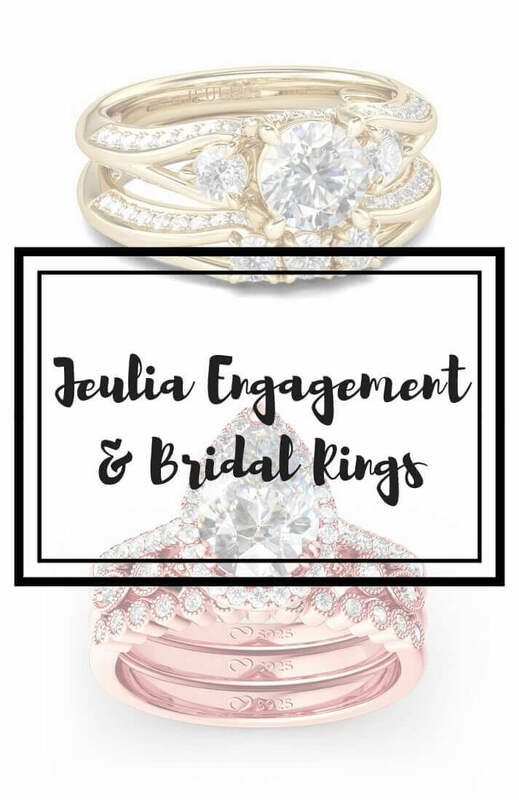 The style of rings by Jeulia is quite opulent and luxurious. Predominant diamonds, intricate designs, big use of stones, some of them in colors such as blue, purple, green, amber, bright blue, and more. 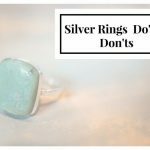 They are rings that seem to be made to leave your partner speechless! 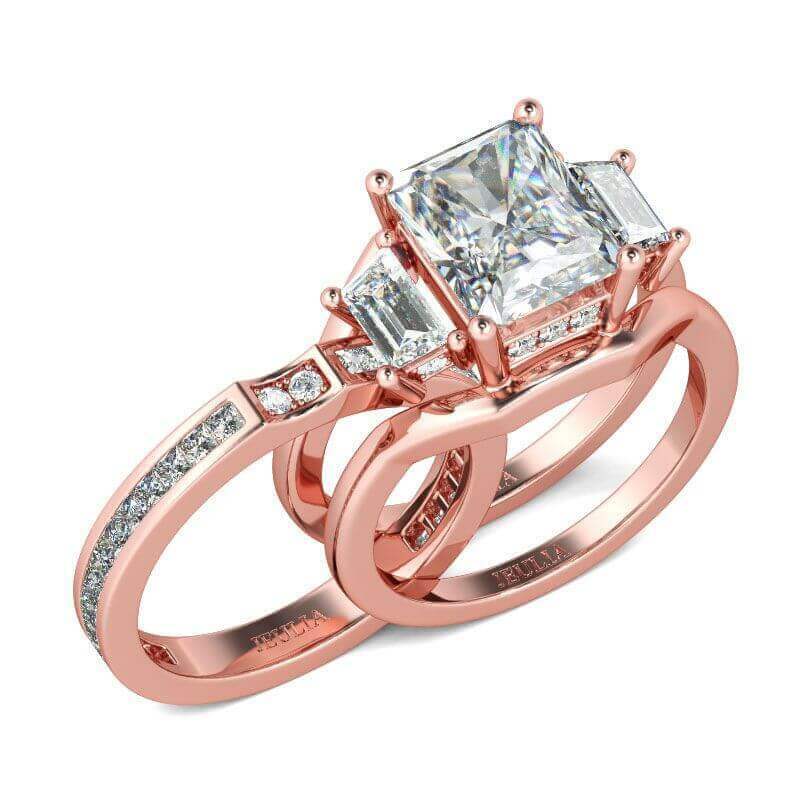 Well, opulent or not, my favorite rings are always the rose gold wedding sets. I’m a basic girl, I see shiny and I see pink and I like it, lol. Naturally, one of my top favourite colors is rose gold. 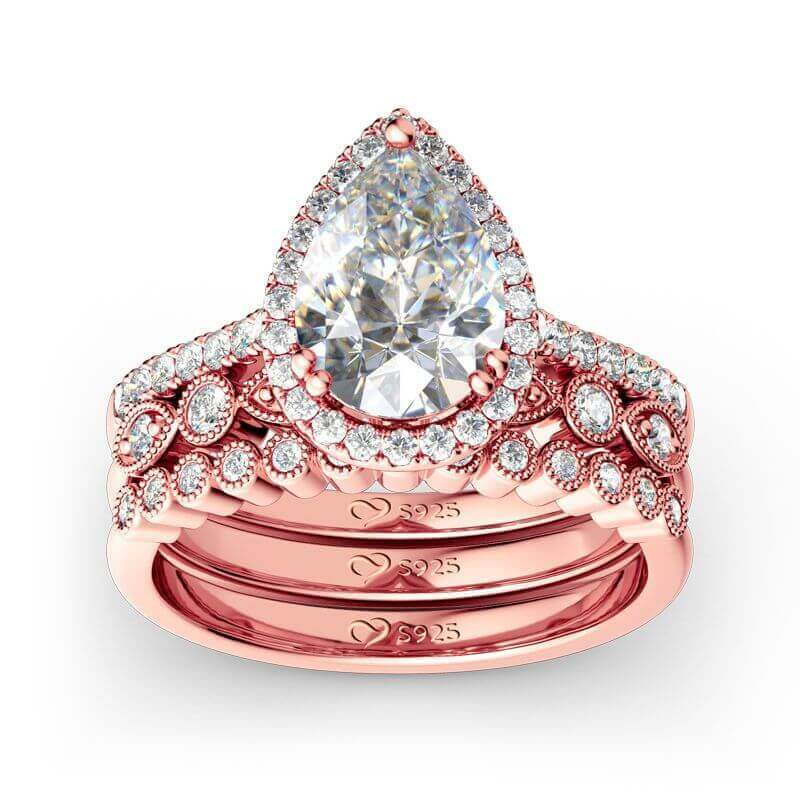 Jeulia’s rings in this shade are beyond gorgeous, super feminine and romantic. It’s the perfect choice if you want something über romantic and modern at the same time, away from the traditional golden and silver. 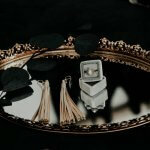 Don’t forget to check Jeulia.com for all the other rings and accessories. They offer free shipping for orders of +$99 and one year warranty. Would you say ‘Yes’ to these rings?